Two PhD students affiliated with SOCAAR have been on exchange at Utrecht University in the Netherlands since early October as part of a three way research collaboration between the University of Toronto, Utrecht University and The Chinese University of Hong Kong. The University of Toronto initiated its first ever tripartite research collaboration agreement last April. Kerolyn Shairsingh is a PhD student with Professor Jeff Brook and Professor Greg Evans in the Department of Chemical Engineering and Applied Chemistry, while Joseph Okeme is a PhD student with Professor Miriam Diamond at the University of Toronto Scarborough’s Department of Physical & Environmental Sciences. While at Utrecht, the two PhD students took part in an international workshop that Utrecht University hosted as part of the exchange. Professor Roel Vermeulen is the lead for this collaboration at Utrecht University. He had only positive comments about the two exchange students and was excited for the project to continue growing. Spending a month in Utrecht city in the Netherlands has been quite an enriching experience that started with the signing of the Exposome tripartite agreement between three universities, Utrecht University, Chinese University of Hong Kong and University of Toronto. The Exposome concept, while novel to me was intriguing. It was a common belief that some diseases are influenced mainly by one’s genetic composition but what if the impact of your genes was less than you think. What if your lifestyle habits and your exposure to certain pollutants whether it be from the air or water or the place you live had more influence on you than you imagined? This was the essence of the Exposome concept and this thought thrilled me as it could shift the paradigm of human health and give humans more power over the outcome of their lives. 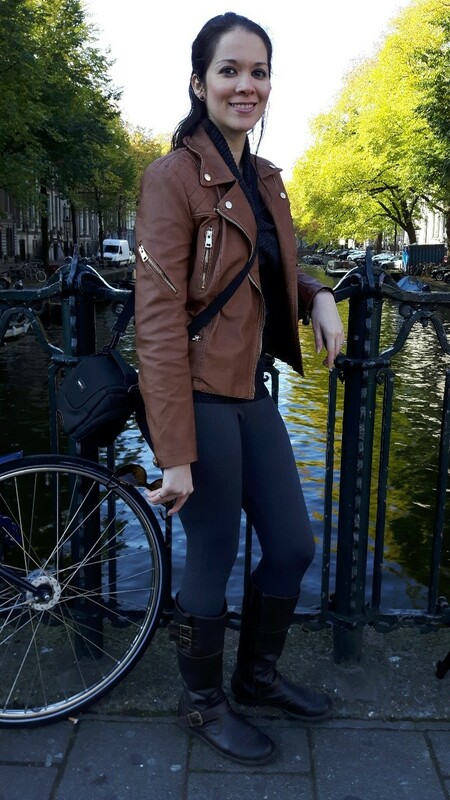 Since my research involved the development of air pollution concentration maps which is a bridge that allows us to predict air pollution using measured pollutant concentrations, I was asked to go to Utrecht to explore different pollution modelling techniques. One of the techniques that we evaluated was the use of resolved concentration maps to improve the transferability of land-use regression models. Since land-use regression models are multiple linear regression models developed from measured concentrations and land use emissions surrounding the measurements, we hypothesized that a model representing local and background land use emissions would be more adept at predicting concentrations in another city than the commonly used unresolved model (total model). In Utrecht University we employed this method to develop three models (local, background and total models) for ultrafine particle concentration in Rotterdam. These models would subsequently be used to predict concentrations in Amsterdam. This concept of transferring a land-use regression model from one city to another is important as some participants in health studies may move to another city during the study period. I remember the first day I arrived in Utrecht, I had just departed the train that brought me from the airport and I wasn’t sure how to get from the train station to the apartment. The google map on my phone wasn’t working so I walked into the first shop I saw and asked the young lady for directions. While she knew how to get to the street I was enquiring about, she didn’t know how to say it in English, only Dutch or German. As I was about to leave the store in search of an English-speaking person, she offered to draw me a map from the station to the apartment. It was at that moment I felt my first heart-warming experience from Dutch people. This was the first of many occasions in which I encountered the kindred spirit of the Netherlands. If you ever have the chance to visit the Netherlands, you really need to come to Utrecht. 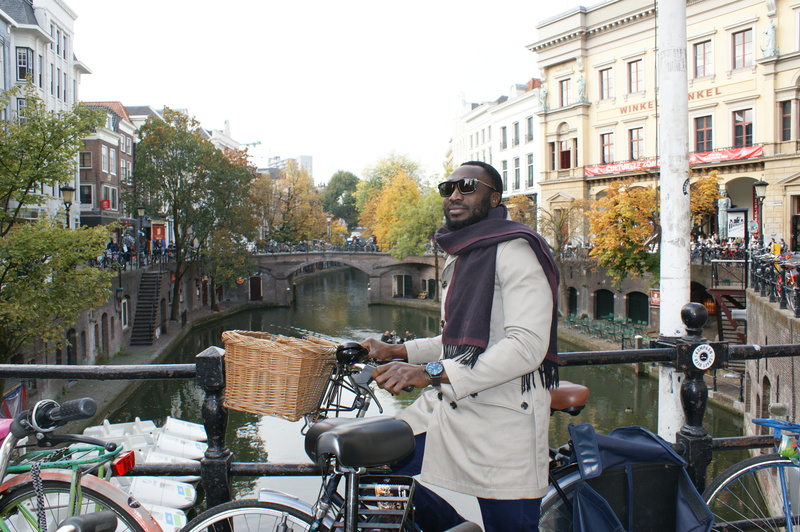 While Amsterdam is more well-known and certainly is a beautiful city, Utrecht has a charm that brings together what I imagine to be the old traditional townscapes with modern living. A convergence of a healthy biking culture and few cars in the heart of the city is truly a breath of fresh air. Amidst the vibrant pop-up markets and the plethora of such diverse multicultural shops and cafes between the picturesque canals you’ll find a friendly city filled with history, art, science and wonder. 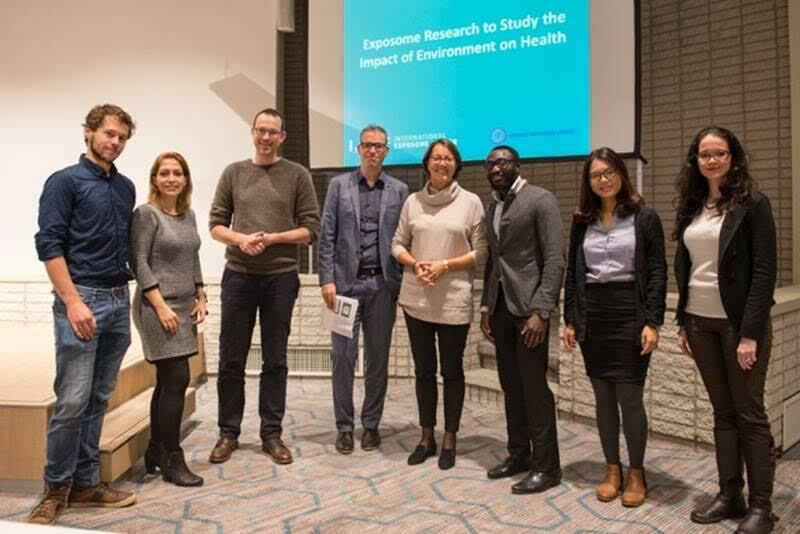 I’m on a student exchange in Utrecht as part of a tripartite research collaboration between the University of Toronto, Utrecht University and the Chinese University of Honk Kong that studies the connection between the exposome and health (http://exposomecenter.org.). My research project in Utrecht characterizes polydimethylsiloxane (PDMS) or silicone rubber brooch and wristband passive air samplers for assessing human exposure to semi-volatile organic compounds (SVOCs). The SVOCs of interest include flame retardants, phthalates and organochlorine pesticides. I’m conducting the research work at the lab of Prof. Roel Vermeulen, the Environmental Epidemiology Division of the Institute for Risk Assessment Sciences (IRAS), Utrecht University and TNO Utrecht (https://www.tno.nl/en/). I like living in Utrecht because the city is beautiful, safe, and the people are friendly. You can easily get around by bike since bike lanes connect all parts of the city. When I’m not busy, I enjoy wandering around the city. Many times, I get lost but I eventually find my way because the city is not too big. Utrecht is located at the heart of the Netherlands and it’s a major transport hub. I take advantage of its intercity train services and visit near by Dutch cities such as Amsterdam, Rotterdam, and The Hague. I find the exchange rewarding because I’m experiencing a new culture, exchanging knowledge and having a good time. This entry was posted in News, Uncategorized and tagged Chinese University of Hong Kong, student exchange, tripartite research collaboration, University of Toronto, Utrecht University by chan. Bookmark the permalink.